When I started fishing as a young boy, it meant heading to the local creek or small pond fishing for trout, and usually catching suckers or chub. When I got into my late teens I was included in the annual Father and Son Fishing Trip. At the time I was 17, which was old enough to keep my mouth shut when I got home :). As I’ve gotten older still, the fishing experience has continued to evolve. 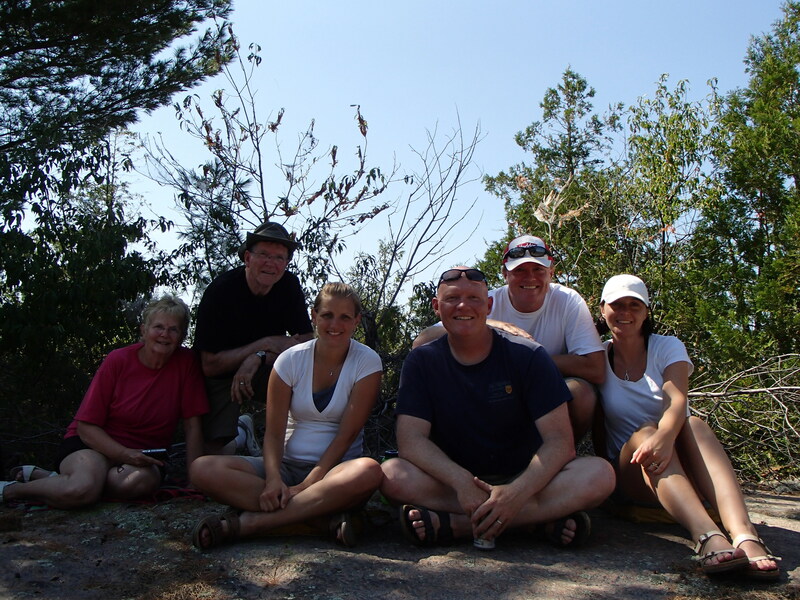 Going away on fishing trips, whether they are day trips, weekends, or full fledge fly in weeks, requires (hopefully) the support of your family. 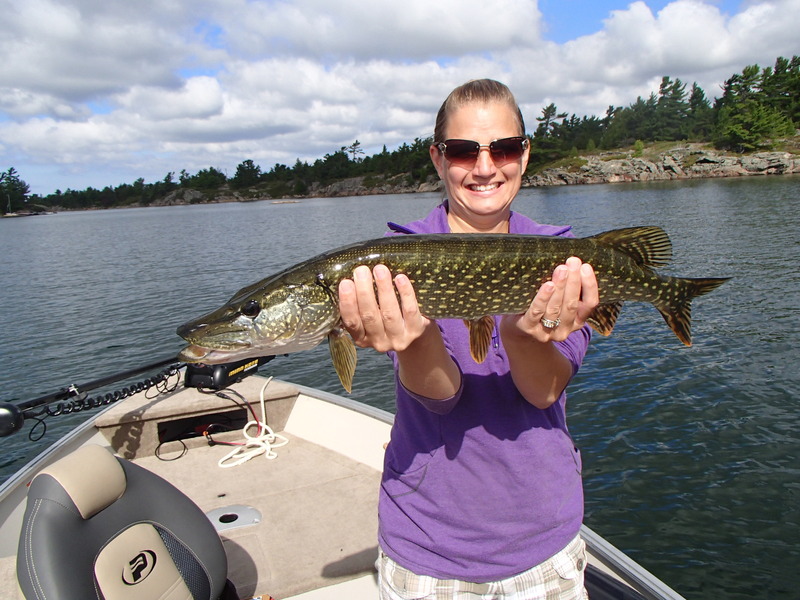 A couple of years ago I was happy that my wife (Carolyn, pictured above with the Pike) agreed to go on a “couple” fishing weekend. It included my father and step mom, and my brother and his wife. The goal of the couples weekend (if you can call them goals), is to spend time with your spouse / partner, sharing in a passion that you have and hopefully they find the same enjoyment. When we were planning for the first one, there were lots of questions. How much fishing would get done? Would the “girls” fish as much as the “guys”? Would the girls enjoy the fishing at all? Well, the answers were really positive. Do we fish as much as we would on a guys trip, no, but really it’s just because we don’t rush out the door and we don’t hang on till the bitter end. The whole group for the most part fishes the whole time, because the girls like the fishing too! There were some really interesting elements to the couple trip. First, they haven’t heard all of our old jokes! 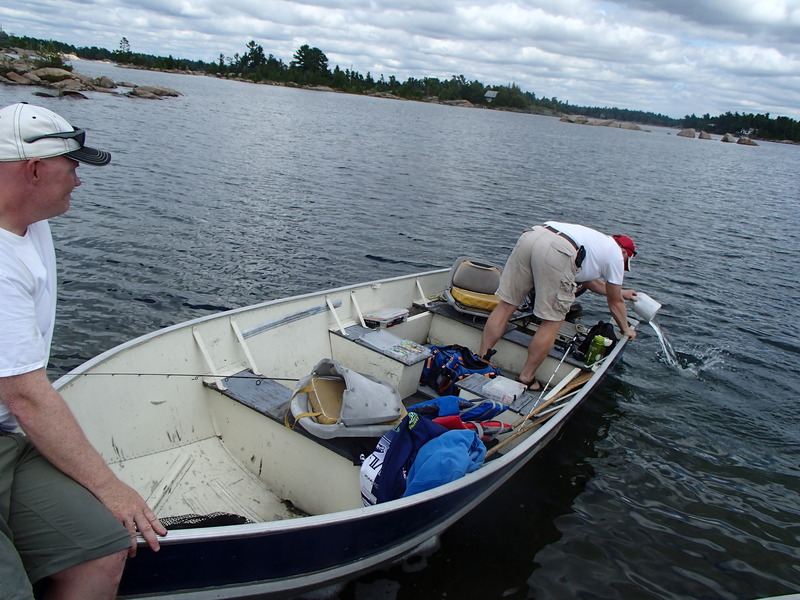 Seriously though, you could put a location to an old story, you could share the majesty of a shore lunch on the Canadian Shield, you could enjoy the restful sleep after a day on the water and an evening at the card table, being part of the funny stories now, like having to bail your boat out because you pulled it too far on shore, and the general fellowship that comes from trip itself. We ate better than we would have with out the girls, and the trade off was that we had some new competition for big fish, which for two years running is held by the ladies! If you haven’t yet been able to get your spouse / partner to fish with you, take another shot at it, as it would be worth it for both of you. 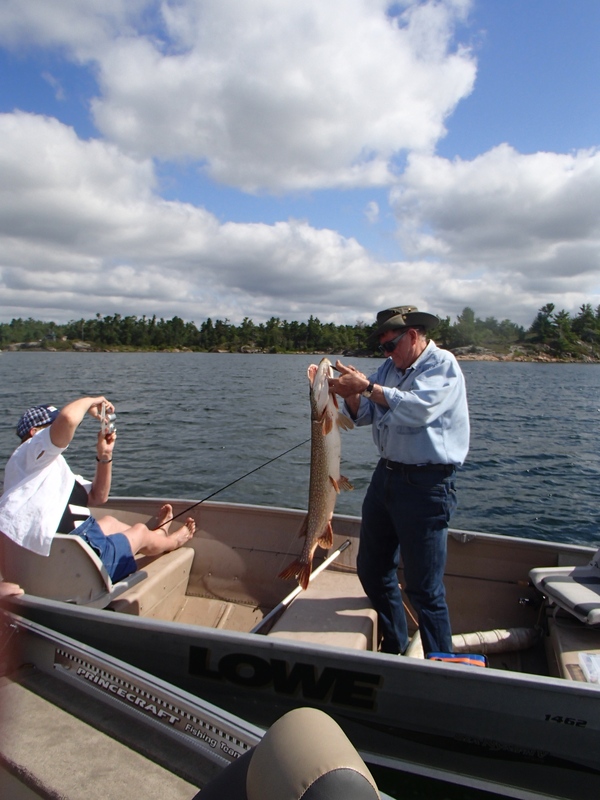 This entry was posted in Boating, Equipment / Gear, Fishing, General, Lakes and tagged amateur, boat, compre, couples fishing, crankbaits, crappie, fishing, great fish, jerkbait, Jigging, jigs, lures, nature, outdoors, pike, Rapala, Remote Lake, Scatter Rap, shimano, Shore Lunch, spinner rigs, tackle box, target species, trolling, trophy fish, Walleye. Bookmark the permalink.